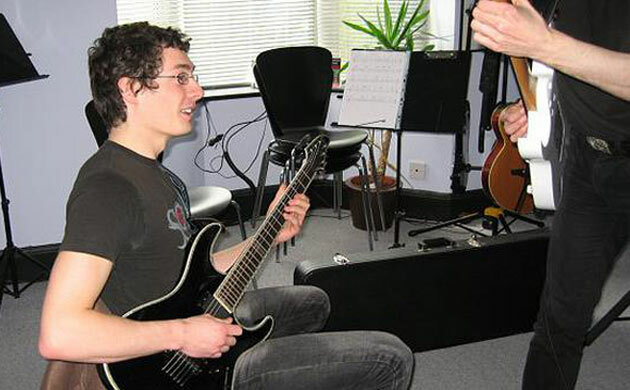 Whether you choose Graded Lessons or Non-Graded lessons our Guitar Lessons begin from the very initial an preliminary stages – such as; holding the guitar properly and applying correct playing technique, fretting the guitar correctly, and applying progressive and structured practicing routines that will promote rapid progress developing your understanding as your playing ability improves. Gain a useful and internationally recognised qualification. Find out, via a reliable and independent assessment, what standard your playing is. Achieve your playing potential by setting yourself a clear target to aspire to. 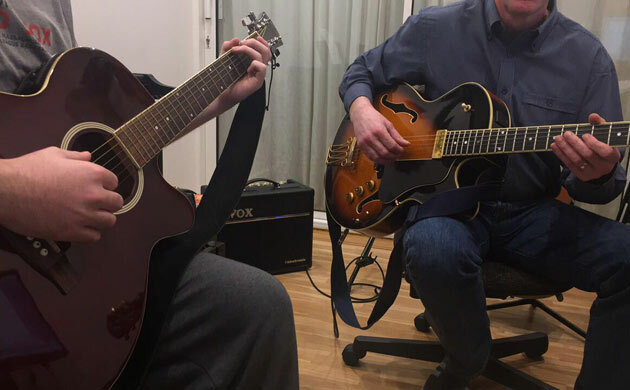 Preparing for the exam will help you develop all aspects of your playing in a structured way, increase your knowledge of guitar techniques and music theory. We provide all our lesson materials in electronic format I.E. Pdf and Mp3 This gives students a visual and aural reference when practicing at home. All our lessons are assignment based and designed to give an understanding of what is being played rather than just playing through repetition. Guitar Lessons Meath structure lessons around minimal chord charts instructing students in the related theory and teaching how to improvise and apply to modern song writing and playing techniques. This approach has been proven to dramatically increase students learning ability. This approach develops students confidence especially when playing with other musicians as they can readily apply their knowledge in a performance situation. We help students to visualise what is being played. We take the guess work out of playing. 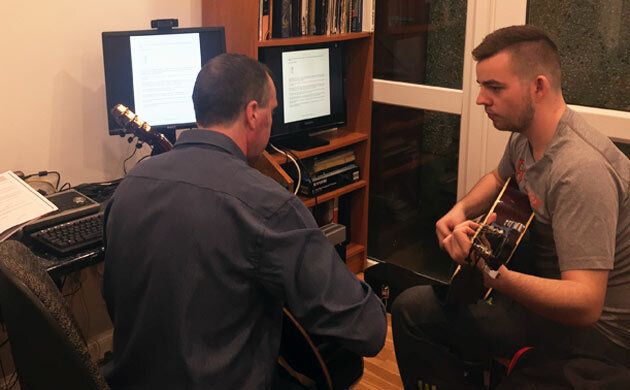 Our courses are designed to take students from holding the guitar correctly through to advance playing techniques. From beginner to advanced we tailor lessons to suit you!